Many of us have been watching the EU and it's recurring, 7 year treaties with Israel for the possible fulfillment of prophecy. We were disappointed when the first 7 year cycle did not pan out as the covenant of Daniel 9:27, and neither did the second one. But this theory is just too interesting to give up for many reasons. (If you aren't familiar with this theory, you might want to check out the slideshow RIGHT HERE, before proceeding. This will hopefully alleviate some confusion). Interestingly enough, it appears the ENP is up for review in 2015, with the new European Neighborhood Policy commissioner tasked with making a revised ENP. For a while now, think tanks, bloggers, and journalists have written about the failures of the 7-year European Neighborhood policy, and how it needs significantly reformed. Stefan Lehne of the Carnegie think tank suggesting that the ENP get reset in 2015. Many have written of the weaknesses and lack of unity in European foreign policy. This caused many of them to advocate for a strong leader in the foreign policy arena, to unite Europe into one voice. Evidently, these bloggers and journalists have had their voice heard. The EU has appointed a new college of commissioners, and likewise, a new ENP and enlargement commissioner. The new Commission President, Jean Claude Juncker, has announced that there will be no more EU members in the next five years. 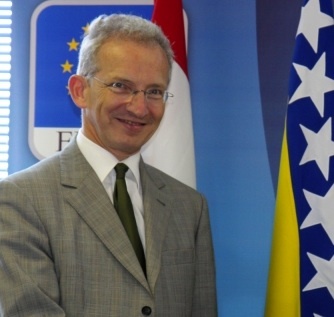 He has tasked the new ENP and enlargement commissioner, Johannes Hahn, with reviewing the ENP and creating a new ENP by late 2015. Mr. Hahn has a passion for neighborhood policy, and has even said that it is "close to my heart." Will Anything Come of It? Friends, I have no idea if anything will come of this new review. I also highly doubt that the EU will change it's 7 year budget time frame to accommodate this new ENP review so that the 7 years will start sooner. But it will be interesting to see what comes of it, especially since the EU has tried to offer Israel and the PA very strongly upgraded ties if they make a peace agreement. While the next ENP cycle is a ways away (6 years), it will be interesting to see what this new revised ENP will look like. I still believe something major will come of one of these 7 year cycles. I think I even found an old discussion thread where the late Herbert L. Peters, who founded this original theory, believed that the first ENP cycle was significant because the subsequent cycles were supposed to be five years. But alas, they turned out to be seven. So I still think we are on the right track with his theory. Though it is agonizing to wait so long. (Click Here to See the Slideshow on the Background to This Theory). Let us not forget that this is one of the best prophecy theories that anyone has ever come accross. According to many professional theologians and Bible scholars, the Bible teaches that an end times "Roman" ruler will make a treaty with Israel for 7 years immediately prior to the Second Coming of Christ. Many suggest this will be a security agreement or peace treaty with Israel, though this is not required from the Biblical text. Furthermore, Daniel 7 describes four empires that rise to power, one after another. The "fourth kingdom" in this series of empires is destroyed by God to set up an eternal kingdom, where all rulers obey him. However, the fourth major empire after Babylonian empire is the Roman Empire. Which is why many theologians believe the Roman Empire must come back into existence prior to the second coming of Christ. According to the Bible, this empire will be composed of 10 kings. This has lead many theologians to believe that there will be a confederation of 10 nations in the area of the Old Roman Empire. The end times ruler who makes the 7 year treaty with Israel becomes dictator of the end times Roman empire after an apparent power struggle with three of the ten kings. Interestingly, Daniel 2 also describes the 4th empire as marred by division and a lack of unity. Read more about end times theology RIGHT HERE. Many students of end time prophecy already believe the Roman Empire has made it's return. The European union is one of the largest economies in the world and is under a single currency. It is steadily moving towards federalization, so much so that nearly a majority of UK citizens want to regain independence by exiting the union. The EU consists of many appointed (read: unelected) officials who make half of the laws in each member state in the EU. This EU has established its relationship with Israel by having recurring 7 year treaties with Israel and many other nation states, through the European Neighborhood Policy. It sets goals and priorities for each of these states to meet, in order to gain the financial incentives associated with the program. Furthermore, the EU external action website states that an alliance of 10 European nations formed the basis of it's common defence policy today. The area covered by the 7 year treaty looks strikingly similar to the Roman Empire. The EU has major struggles with division and lack of unity. This is why many bloggers and think tanks have been writing articles with recommendations on how to revamp and relaunch the European Neighborhood policy. Furthermore, many journalists have written about how the EU is weak and needs a single voice in foreign policy. 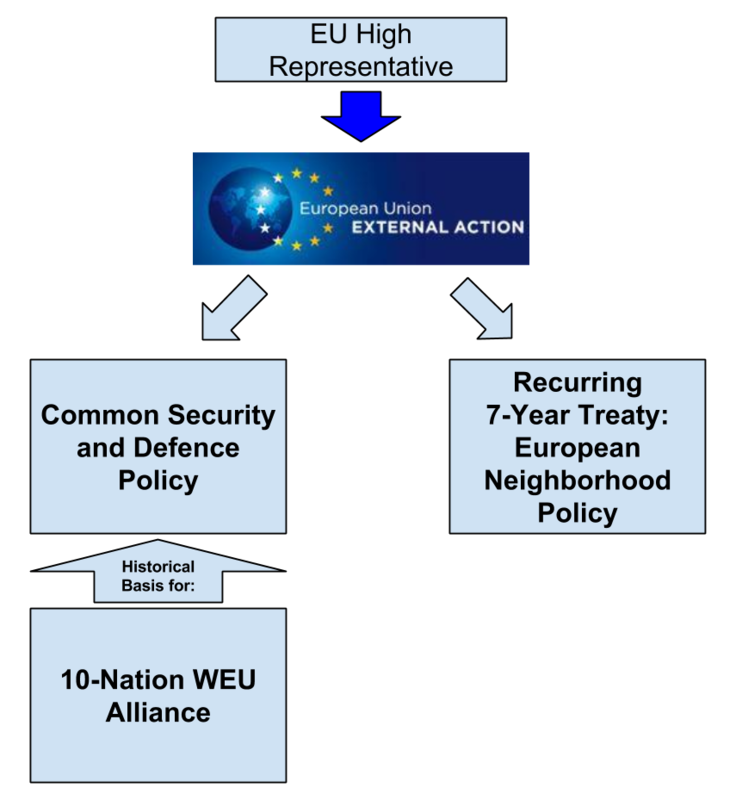 The European Neighborhood Policy program has widely been considered a failure. So people are looking to a strong leader to fix it. The wait is frustrating. But I do think this theory is going somewhere. The framework was there and the long term trends are there. We just accidentally overestimated how far we had progressed in the prophetic narrative. Only time will tell. Come Lord Jesus!